After learning last week that Beyoncé would not only be releasing new music in the coming months but was also working on something for Netflix, we were beyond excited. 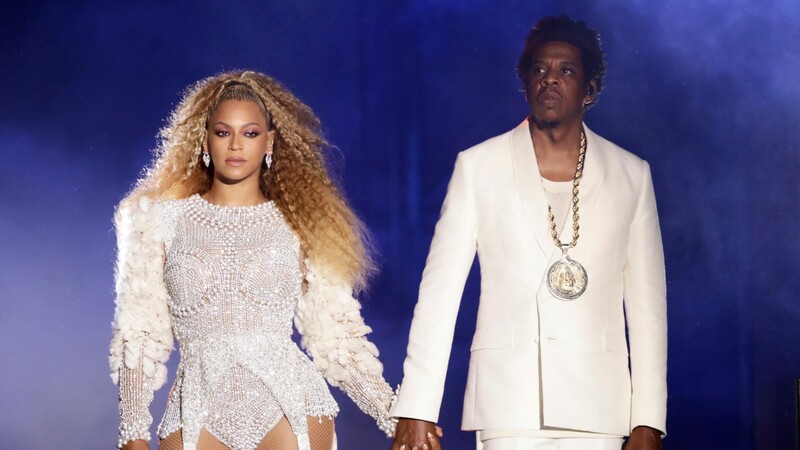 Now, we’re basically ready to explode because the trailer for Beyoncé’s Netflix documentary, Homecoming, is finally here and not only do we get a look at how Bey’s 2018 Coachella performance came together, but we also get a sneak peek at her twins, Sir and Rumi Carter. This is the second official time we’ve seen the twins (the first time being the epic 2017 Instagram announcement of their arrival) and we truly cannot even process how much they look like their parents — and how cute they are! Sir and Rumi appear in a truly blink-and-you’ll-miss-it moment during the Homecoming trailer, with footage of mama Bey snuggling with each of them shown in quick cuts in between footage of her in the gym, training for Coachella, and smiling with husband Jay-Z. What we do see of the twins indicates that these two are cute as hell and are looking more and more like their famous parents with every passing day. Of course, older sister Blue Ivy (who is seven years old now, y’all!) makes an appearance, too. She is seen for a brief moment rehearsing with Beyoncé’s Coachella dancers in a rehearsal space, seemingly keeping perfect time with the music and delivering some fierce moves. Thankfully, one fan has already managed to get screenshots of Rumi (pictured below, left) and Sir (pictured below, right) from the trailer, so we can behold them in all their glory. Honestly, we can’t tell who looks more like which parent. All we know is we need to squeeze those adorably chubby cheeks ASAP. Since the documentary was filmed this time last year, it’s safe to assume this is old footage of the twins and they’re probably even cuter as toddlers. Homecoming will be released on Netflix on April 17. The release date is especially meaningful in Beyoncé’s storied career because it marks the day that she actually made history as the first woman to headline Coachella just one year ago. This doc will also be one of the few times that the notoriously private Bey lets fans deep into her personal life as well as her artistic process, undoubtedly making for an exciting viewing experience. We were already looking forward to repeat viewings of Homecoming when this announcement was first made but knowing that Sir, Rumi and Blue Ivy will be making an appearance means we’ll probs just have to cancel all our plans when this doc is released because it’ll be impossible to focus on anything else.